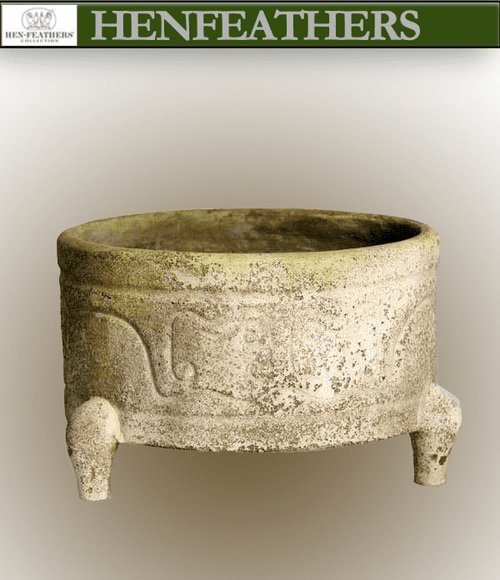 The Han Dynasty Footed Planter is a raised planter with a wonderful ancient Chinese motif. 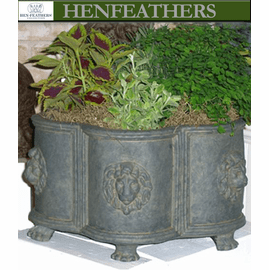 A standout garden living design, this planter is perfect with ferns or, lush floral arrangement, succulents or as a herb garden, inside or outdoors. 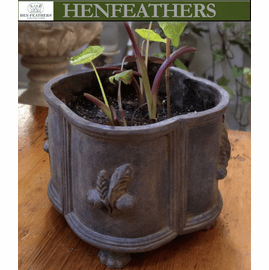 A chic container for mantle or table or any patio, deck, or garden setting. 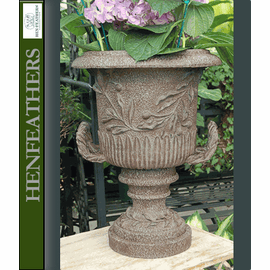 Hand cast and finished in the USA in fiberstone. Guaranteed outdoor durability. 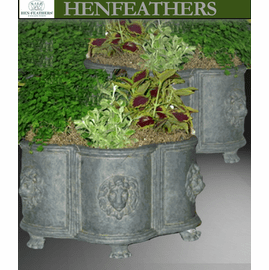 Shown in White Moss finish (left) and Iron Black finish above and is available in the color finishes shown below.